SEGA dropped a heck of a present on us just before Christmas; a nice little update to Hatsune Miku: Project Diva Future Tone (ONLY THE MOST FUN GAME EVER), which gives us even more music, new super-cute dresses to put Miku in, and an improved photo mode that lets you stick love hearts all over each picture, and all that good stuff. Related reading: I wrote an absolutely massive review of Future Tone back in the day. Have a read! Let's start with the bit that will matter most to most people, I suspect; the new songs! There are two of them; Ghost Rule by DECO*27 and Suna no Wakusei by hachi. These are both really quite famous songs for Miku fans, and the latter, especially, has been something of a viral hit since it landed in July this year; the video's already been seen 15 million views on YouTube alone, and it was one of the lead songs in this year's Miku live concert. I've got to admit that while I love the song, I can't stand the video clip, so I can't see myself actually playing that one too much in the game. Ghost Rule's a better video clip, and with it comes one of the best Miku costume (or module) of all; Ghost, which is a skin-tight uber short mini dress number and it's just hnnnnnnggggg. I'm going to be using that dress on very high rotation going forward; it's right up with Emerald as the best Miku module of all. The other costume that this DLC pack comes with a special 10th anniversary one, which looks like Miku's wrapped a rainbow ribbon around her back, and it's quite beautiful in its own right. In addition to the two new tracks and modules, the DLC also has an enhanced photo mode. Not so "enhanced" that you've got free control over the camera angle, unfortunately - it would be good for future Miku games if SEGA frees up the camera and takes a note from Sony's Horizon and the like to allow us to play idol photographer. But there are some neat enhancements anyway; you're able to play around with stickers and stamps and the like, and turn your screenshots into images like the what you'll get out of the Japanese photo booths that you can find just about everywhere in that country. Finally, the game has been enhanced to support 4K on the PlayStation Pro, and that's a pretty incredible little feature for people who have the requisite equipment; I'm all for Miku in the highest resolution possible. This 4K feature is actually a free patch for the game, so you'll get it even if you don't buy the DLC, but you may as well pick both up. This DLC pack was clearly an afterthought that was genuinely added into the game well after SEGA's initial plans for it, and it was done as part of the ongoing support for the game that SEGA was able to justify after it proved a runaway success in its homeland. Those two particular music tracks only became huge after the game was initially released, after all. As such it is a very thin package in terms of content: two new tracks when the base game + DLC has around 230 isn't actually much of an addition, and given that this is meant to be the big celebration of Miku's 10th anniversary, that's a little disappointing, but on the other hand it'll give me an excuse to play the game for another couple of dozen hours, so I'm also not really complaining. However I am disappointed with the Miku franchise in general at the moment. 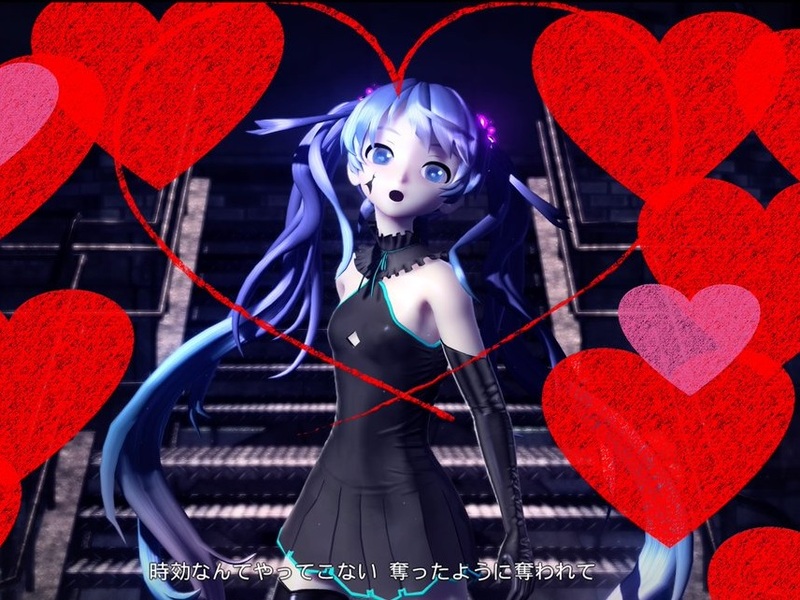 I'm a little disappointed that since Miku Project Diva X, SEGA has gone very quiet on ongoing Hatsune Miku development. Future Tone was a release in the west this year only because it was so incredibly delayed from the Japanese release, so we haven't really seen a new game - or even an announcement - all year. There's no announcement of a Nintendo Switch title, when I would have thought a port of either this one or Miku X would have been a no-brainer, let alone a new game of some description. We're well and truly overdue for what should by rights be a major franchise for SEGA. I'm personally hoping for a idol management game, like Idolm@ster, to go with the rhythm game action. Or even some software that lets you design concerts, dance routines, and the like, in an intuitive manner, given that previous games haven't managed to do that intuitively. SEGA doesn't have to produce a dedicated rhythm game next time around because we do have Future Tone and Project Diva X, but damn it, we fans have an unlimited capacity to consume Miku stuff, and I really, really want to give SEGA some cash.